E-money is no doubt one man who is loved and respected by everyone he comes across . 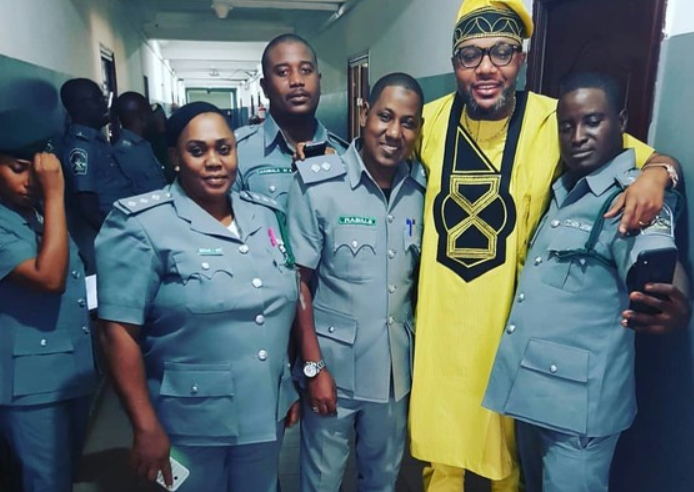 E-money who is the CEO of Emmy cargoes and five star music was showed much love by custom top shots when he visited their head office for business reasons today. The billionaire business man took to his social media page to share this beautiful photo with his over 1 million followers. Big boy things if you ask me.